On 2 April, it's the 8th annual World Autism Awareness Day. But what should we be aware of? Autism is a condition that spans a very broad range. At one extreme, individuals understandably see themselves as different from others but yet not suffering from any disorder. At the other extreme, the individuals are so impaired that they need extensive personal care. Both extremes may be found even within identical twin pairs – meaning that they are likely to involve the same genetic origins. “Baby sib” studies (i.e. apparently unaffected siblings of someone with autism) have found that biological measures (such as brain imaging whilst watching faces) at the age of 18 to 24 months (perhaps even earlier) may indicate that autism is likely to develop later, even though the usual manifestations are not yet present. Autism is associated both with striking special skills (in up to a third of individuals) and with general intellectual impairment (in about the same percentage). Both associations have been demonstrated repeatedly, but it remains a mystery quite what this means and how this apparent paradox comes about. Autism is a neurodevelopmental brain disorder and not a psychogenic condition (meaning a reaction to some form of adverse upbringing). This is evident in the fact that about 1 in 5 develops epileptic seizures – usually in late adolescence or early adult life. It is also evident in the finding that individuals with autism are more likely than other people to die young (sometimes, but not always, from an epileptic attack). Most mental disorders are at least partially responsive to appropriate medication. That is not the case with respect to the core features of autism. Medication may be useful in managing specific problems such as overactivity but they do not reduce the main social and communicative deficits. Developmentally appropriate behavioural interventions, based on encouraging social interactions, can bring about worthwhile, albeit limited, benefits. That is particularly the case if the interventions begin early. Genetic influences on the liability to develop autism are strong. They involve both rare pathogenic genes and also common variations that are not determinative. Multiple genes acting together are likely to be involved, with each individual gene having only a very small effect. Non-genetic influences are also important. These may involve specific environmental influences but they may also involve chance effects (such as those associated with being born to a father who is much older than average). Although the mechanisms remain poorly understood, it is possible that it reflects the increased risk associated with multiple cell divisions. Autism usually persists into adult life and even those who are relatively well-functioning are likely to require support. It is particularly sad that, during this time of economic cuts, many individuals with autism are having their benefits taken away. 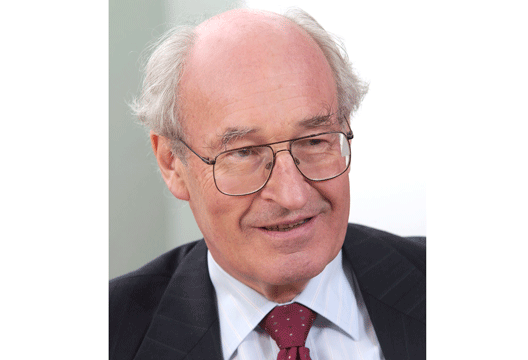 - Professor Sir Michael Rutter is Professor of Developmental Psychopathology at King's College London. It’s complicated. Autism isn’t one condition. It’s a spectrum of many different conditions, from articulate, eccentric Aspies (people who self-identify as having Asperger’s Syndrome) through to people with no speech and challenging behaviours. As the disability activist Simon Minty says, difference is the one true thing we have in common. It’s how we, the neurotypical world, deal with that difference and hopefully embrace it. It’s simple. Some Aspies say that autism isn’t a condition, and definitely not a disorder – those terms were invented by neurotypicals to medicalise and pathologise our difference and uniqueness. The world needs to adjust so that people with autism or ASD (Autistic Spectrum Disorder – a term that is often contested by activists) can fit in, rather than trying to manage or cure autism. This is essentially the Social Model of Disability in action. It’s simple. It can be fun. People with ASD aren’t humourless, which was a commonly-held myth until fairly recently. Some people with ASD are extremely witty and natural jokers, and can convey their take on the universe in a way that tickles our collective funny bone. Others aren’t and don’t. A bit like all of us, really. We can be heroes. We know about the greats like Alan Turing, Temple Grandin, Isaac Newton – and lots of other historical figures who probably have ASD but may not have been identified as having it back then. It shouldn’t be all about creating heroic, unattainable role models though. It should be about celebrating the fact that disabled people who face enormous disabling barriers can still lead an ordinary and interesting life when the social conditions and support are right. Work works. Not that many years ago, people with ASD were often consigned to learning disability hospitals for a life sentence of institutional care, with little hope of reprieve. Finding meaningful work for those people is one of society’s biggest challenges – only around 15 per cent are working full time. Yet many people with ASD can offer specific skills and talents that employers could tap in to. As around 80 per cent of people with ASD want to work, rather than being benefit-dependent, there is also the moral case for making sure that all our citizens have an opportunity to contribute to society. You can choose to be creative. There are some amazing visual artists with ASD – take a look. My son Evan obsessively drew cartoon characters from a very young age. His talent was and is remarkable. He won a prize for his take on Vincent Van Gogh’s flowers whilst at school, which he dashed off in 30 minutes. Despite his gift, he now chooses not to exercise it – he’s just not interested any more. That’s his decision and choice, but one I still struggle with as his proud Dad. It’s about family, guys. Childhood is a really tough time for a kid with ASD, and for the siblings and parents, the whole family. There are so many competing demands, and such a lot of new things to learn about, including navigating the social care and education systems that you probably didn’t know existed before. Some couples split up under the pressure of these challenges, which produces even more complications for the family. There are no easy answers, but finding the right support for your family at this socially isolating time is crucial. The TV drama The A Word on BBC 1 explores some of these pressures and conflicts brilliantly. You can be all at sea in an ocean of emotion. Nick Lowe said it all in his song Cracking Up. The pressure of everyday life, bearing relentlessly down upon us. I don’t think it’s funny no more. We all experience bad days like this, but most of us have the resilience to dust ourselves down, pick ourselves up and start all over again. Think how tough it is for people with ASD, where emotions can be massively amplified. Give people with ASD space, try to be patient, try to understand where those feelings are coming from. Support shouldn’t vanish. People with ASD often need state support to help with day-to-day life. The transition from children’s to adult services is often traumatic. The support the person and family gets can drop away over-night to almost nothing. A lot of attention is rightly focused on child development and early intervention, but why should all this support vanish when you reach 18? To me, this is a reflection of how much our society values people with ASD. But feel free to draw your own conclusions. Can you see the real me? ASD hasn’t had a great relationship with cinema or TV. Representations of autism tend to be over-sentimental and seen exclusively from the parental perspective. Temple Grandin, the HBO film written by Christopher Monger, is probably one of the best attempts at conveying the deeply personal experience of autism, through the ingenious use of visual effects and CGI. Monger also took the time to meet with his subject and really got to know her, and involved her fully in the filmic process. I recommend watching it. Now we would like to hear from you - what should people be aware of on World Autism Awareness Day? Tweet us @psychmag or email [email protected]. Read much more about autism in our archives or in the app special edition.